Over the years the Petrolicious Shop has been proud to partner with artists and companies around the world who share our enthusiasm for beautiful aesthetics and significant classic cars. We’ve recently added a new partner to the mix, Collector Studio. The Toronto-based gallery has a history of buying and selling rare and otherwise sought-after automotive memorabilia, and its scope ranges from items sold in the one hundred and one million dollar ranges. 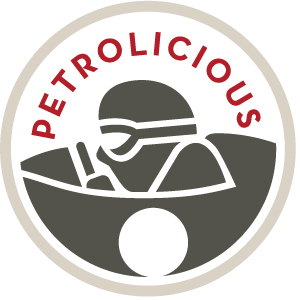 The inventory and experience of the gallery will add a new element to the Petrolicious Shop in the form of historic items meant to bolster or begin your collection of vintage automobilia. 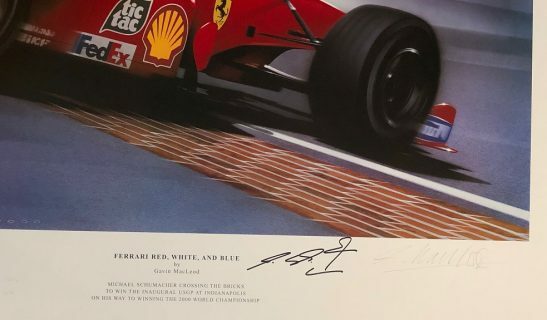 All of the items are fully certified as authentic, and we are happy to add a selection featuring signed Michael Schumacher posters and a taste of Le Mans in ’67. This is an original official event poster with photographic artwork by Andre Delourmel that has survived in excellent condition. 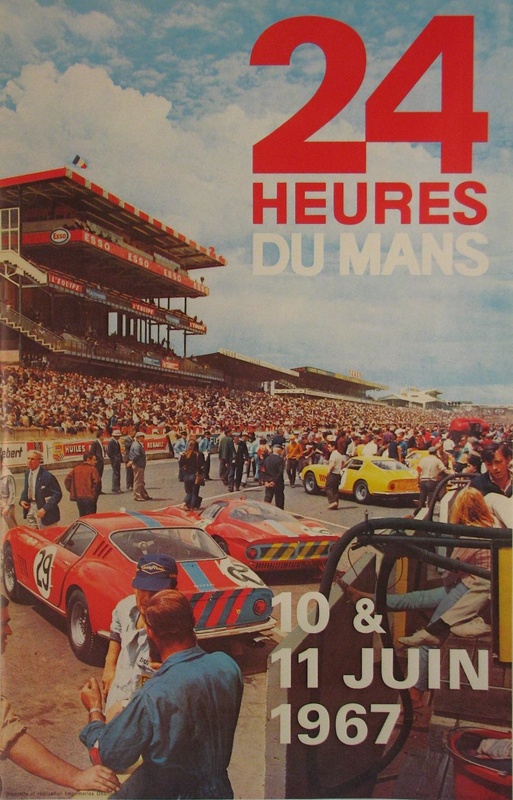 The poster features the start of the previous year’s Le Mans 24-hour race, focusing on the rear of the #29 Ferrari 275 GTB/C of P. Courage and R. Pike, the #36 Ferrari Dino 206 S of M. Salmon and D. Hobbs, plus two Ferrari Ecurie Francochamps cars: the #57 275 GTB of P. Noblet and C. Dubois, and the #28 250 LM of G. Gosselin and E. de Keyn. This race was won by Dan Gurney and AJ Foyt in the Shelby American Ford GT40 MkIV. Ferrari 330P4 s/n 0858 finished second, and 330 P4 s/n 0856 was third. 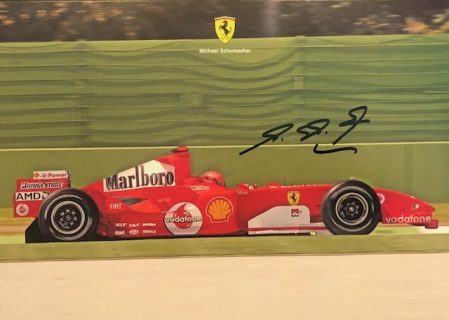 2002 Ferrari F2002 Schumacher signed factory poster. 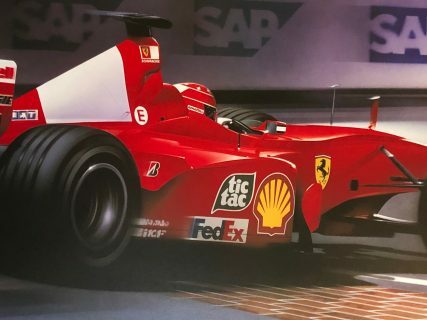 This large poster measures over three feet wide and shows Michael Schumacher in the World Championship-winning Ferrari F2002. 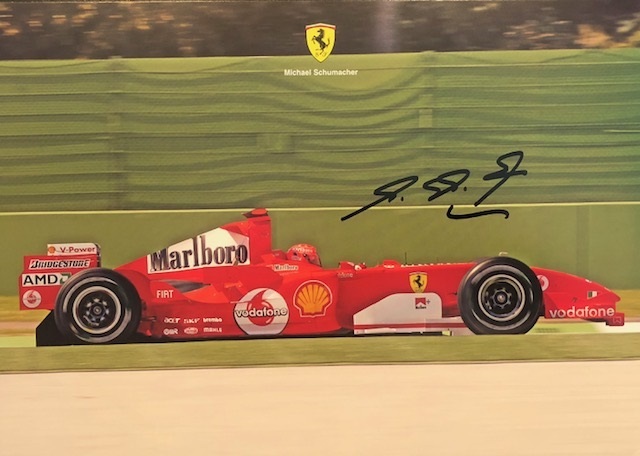 These were hand signed by Michael Schumacher at the Ferrari Factory in early 2002 for sponsors, and were not meant for commercial sale. Each one is accompanied by a certificate of authenticity. 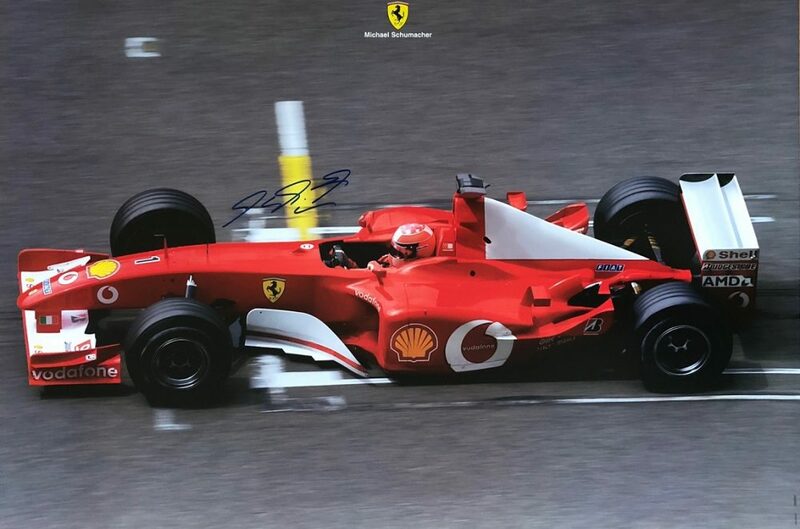 2005 Ferrari F2005 Schumacher signed factory poster. 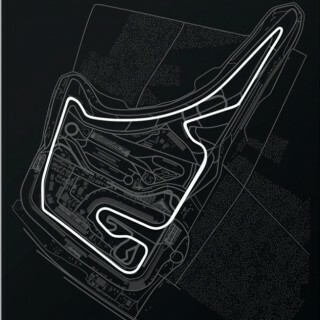 This 8.5” × 11.5″ image was autographed at the Factory in early 2005. 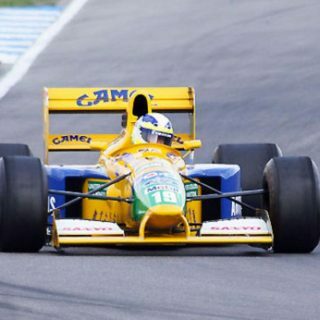 Like the F2002 posters, these were not meant for commercial sale, and were made for sponsors and friends of the team. 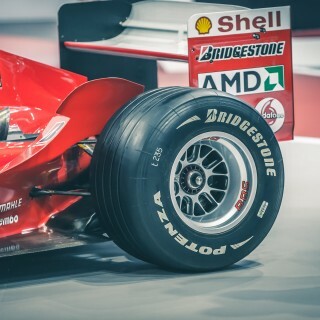 Each one is accompanied by our certificate of authenticity and represents great value for an authentic Schumacher signature. 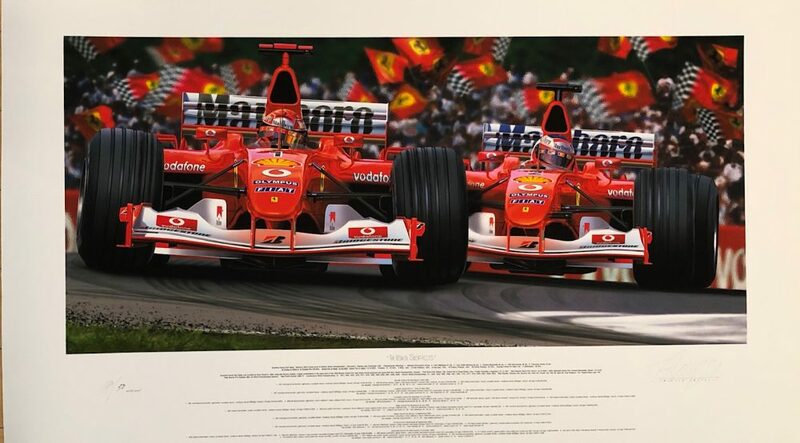 Usual Suspects is a stunning six-color limited edition print of Michael Schumacher and Rubens Barrichello in their World Championship-winning Ferrari F2003-GAs. The print features vibrant colors with added fluorescent paints to accentuate the details. 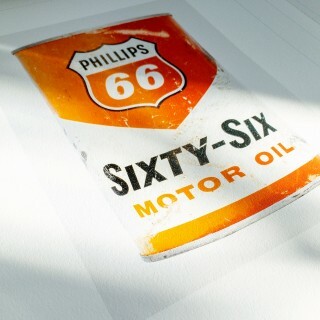 A limited edition of 50 artist signed “proof” prints. Each is accompanied by a certificate of authenticity. 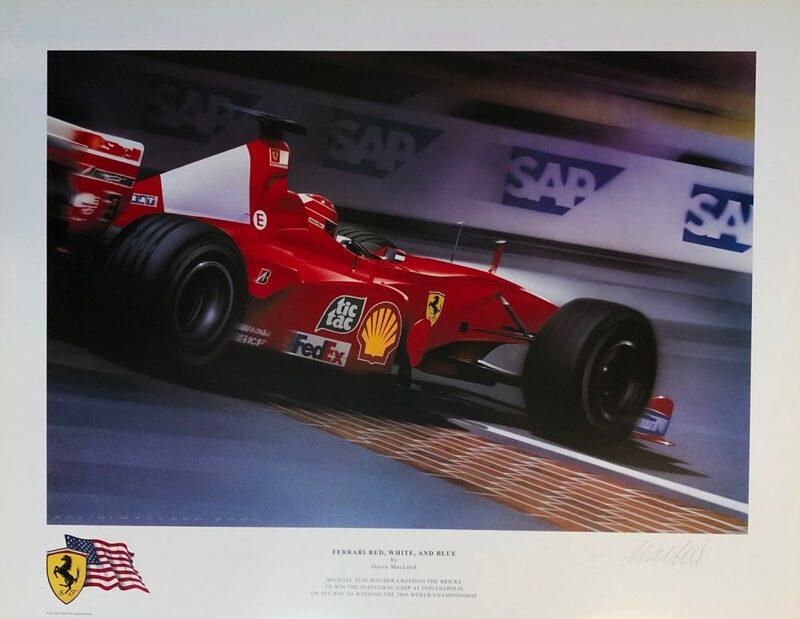 Ferrari Red, White and Blue by Gavin MacLeod depicts Michael Schumacher winning the 2000 USGP at Indianapolis in the Ferrari F1-2000, a victory that aided him to claim Ferrari’s 1st Championship in 21 years. 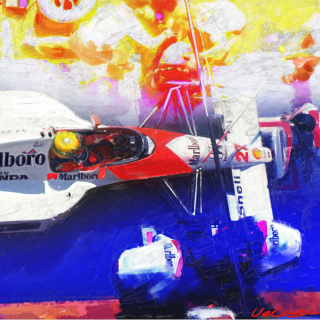 Available in both an artist-signed version as well as an artist-and-driver signed version for a more comprehensive piece.